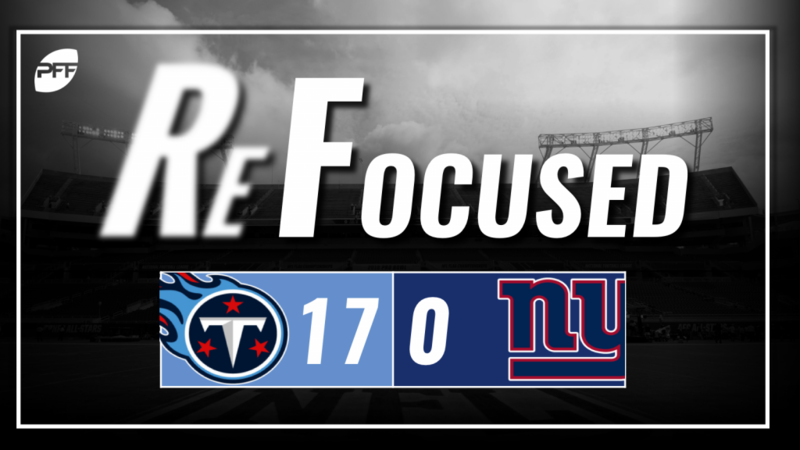 The Titans seem to have found their offensive formula down the home stretch in the cold and bad weather games, and that is get the ball to Derrick Henry with a head of steam. Henry forced missed tackles at the second level and terrorized smaller defensive backs when isolated on them. Credit to the Titans’ offensive line for getting a good push for Henry. The Titans are returning to smash mouth football, and the offensive line, on multiple occasions, drove Giants linebackers into the secondary. Some of the coverage on the back end was the most impressive for the Titans. Kevin Byard stood out the most, and his interception as a split safety getting to the sideline on an out route was extremely impressive. Coverage was not just limited to the safety position for the Titans. Both Malcolm Butler and Logan Ryan had good games in what seemed to be a zone-heavy gameplan on Sunday. The highlight for the offensive side of the ball for the Giants would probably be the offensive line in pass protection. They gave Eli and company a fighting chance and played solid overall, but Manning’s poor play was too much to overcome. Again, it’s tough to get past the point of run defense in this game when the Titans ran the ball almost twice as many times as the passed the ball. The only player to stand out in run defense in a positive way was Olivier Vernon. However, the defensive line as a whole failed to make enough impact plays at the line of scrimmage to deter the Titans from just hading the ball off.